Robert Englund seeks revenge on a generation! 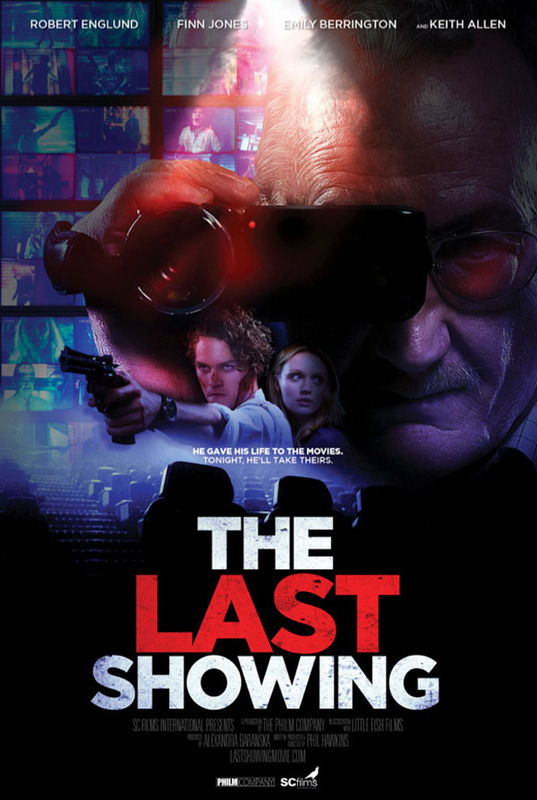 With the films debut at Film4 Frighfest very soon, the trailer for the Robert Englund starrer The Last Showing is upon us. A very interesting premise with a bit of social commentary thrown in. Phil Hawkins directs and the film stars Robert Englund, Keith Allen, Malachi Kirby, Finn Jones and Emily Berrington. When projectionist Stuart Lloyd (Englund) is made redundant by the multiplex cinema he gave his life to, he seeks revenge on a generation that no longer requires his skills. Trapping a young couple inside the cinema during a midnight screening, he sets a deadly plot in motion to make them the unwitting stars of his own chilling horror movie. As they struggle for their lives, the pair are unaware that the CCTV cameras are rolling and that the stage is set for a fatal finale.